So, I’ve been in the thick of audition season in recent months. I’ve had a ton of auditions and callbacks for theater as well as TV projects which was very exciting and is keeping me still energized for what lies ahead. But something I am very excited about is an opportunity to be apart of the New BlackFest Reading Series that is taking place this Saturday! I will be joining an incredible cast to read 20 min. excerpts of new plays by 3 African American playwrights. The playwrights are Nambi Kelly, Sandra Daley and Nathan James and is being directed by Russell G. Jones! The reading is taking place this Saturday, April 6th at 8pm! For tickets please click here. More information can be found below! I hope to see you there! Our Dinner Playreading Series Returns! 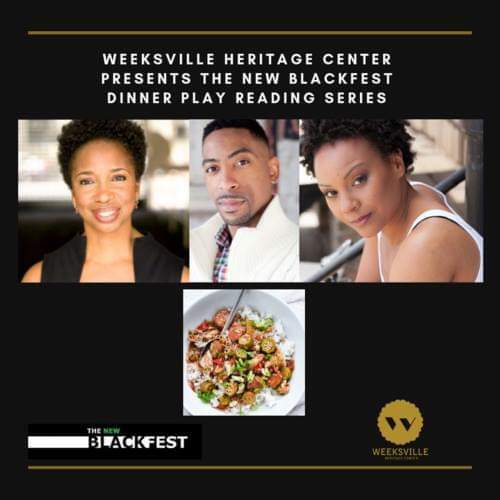 Get ready to excite your senses as Weeksville Heritage Center hosts New Black Fest for a staged reading of three plays with a menu developed by Chef Omar Tate based on the plays. Following the playreading, participate in a Community Conversation with playwrights, actors, director, Russell G. Jones, and panelist, A.J. Muhammad, librarian from the Schomburg Center of Research in Black Culture - moderated by NBF Founder, playwright and screenwriter, Keith Josef Adkins.